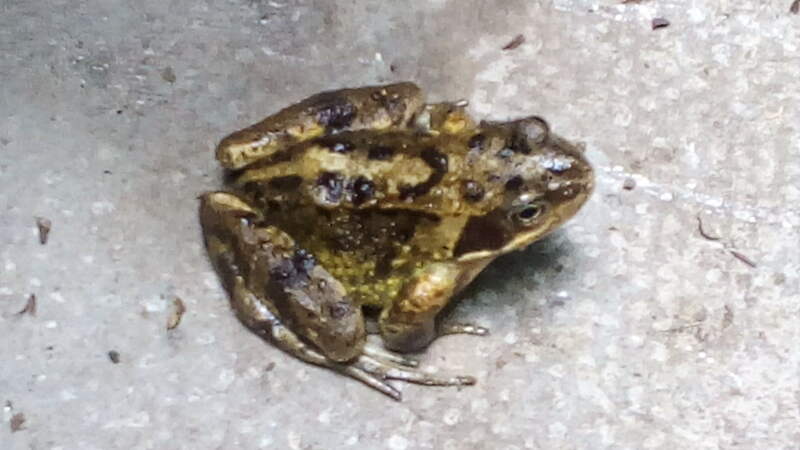 Found frog, far from nearest pond or river - leave or move? Found this little one under one of our wheelie bins today; we're a good distance away from the nearest river, and none of our neighbours have a pond, as far as I know. Should we leave him/her to their own devices, or pick up and move to the river? Out of curiosity, anyone know if he/she is any particular breed, species or type...? It's a Common Frog. They only need to be by water for breeding so best leave it be. Providing it can stay moist it should be fine.